Brief Blurb: Pat Kenny has worked as a trolley boy, a farmhand, a forklift operator, and most recently, he served in the Australian Army for 5 years. Kenny was medically discharged from the military after a serious training accident and spent several months in a wheelchair. While he was recovering from his injuries he started writing folk songs; drawing inspiration from stories in his life. 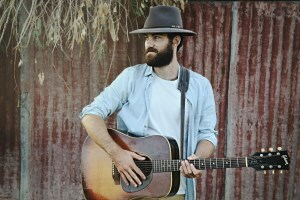 Kenny's EP entitled 'When You're Older' was released in August 2017 and it received airplay on community radio stations across Australia. The raw and honest songwriting is what strikes a chord with listeners.